After you have updated 1Password to version 1.0.5.188 I noticed a new feature to Leave When I unlocked the extensions browsers are closed. 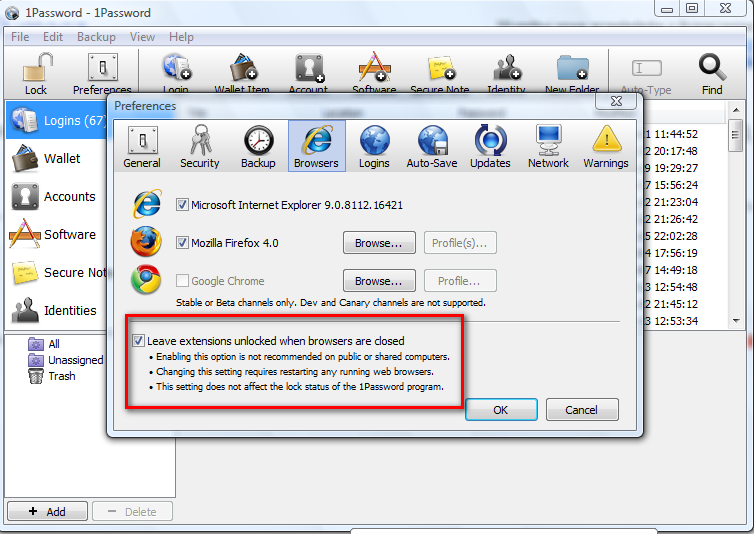 When you select it I have problems with logging on both Firefox and IE. What problems? Please be more specific. 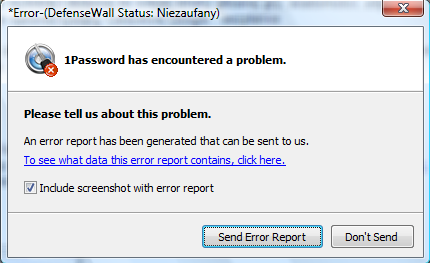 When you try to log on window appears to me (screen below) after closing the message box also closes Firefox. This happens right at the beginning or can not enter the Master Password. farmer1973, have you sent the error report offered in that message box? It's a link back to this forum thread.